The court has declined to suspend matatu ban in the Nairobi Central Business District (CBD) in a case filed by matatu saccos. Instead, the court has directed saccos to serve county government of Nairobi, National Transport and Safety Authority (NTSA) and police with suit papers for hearing on December 6. The suit had been filed by the saccos seeking a suspension on the ban, which took effect today. Earlier on, Nairobi Senator Johnson Sakaja had vowed to go to court to seek court orders suspension on the same. The county government effected the ban today, announcing new pick up stations for matatus, away from the CBD. Appearing before Senate, Nairobi Governor Mike Sonko Mbuvi said that it was a matter of time and all things would come into place. Sonko apologised to Nairobians for inconveniences caused by the matatu CBD ban, stating that the move was part of a bench marking exercise abroad. Sonko assured residents that things will be streamlined, however bumpy they might be now. “Over the months we have been going to Kigali, Dubai, New York to benchmark, why are we wasting tax payers’ money if we are not implementing all these issues, we are going to learn there. I know people are suffering and I request for patience from commuters. We are going to work on an amicable permanent solution to address this issue,” he said. He urged commuters to be patient as “the process of regaining the glory of Nairobi continues”. Sonko said that good things do not come easy. 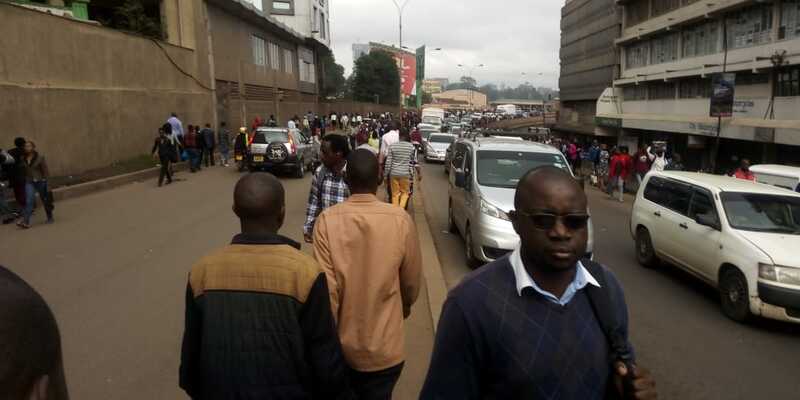 In the morning, thousands of commuters this morning were left stranded, some opting to walk long distances as entry of matatus at the Central Business District (CBD) of Nairobi ban took effect. Even as some chose to work to the new matatu stages, others could not locate the new pick up points for matatus going their route. Some matatu operators chose not to go to their newly allocated stages, saying that they were congested hence leaving commuters before they reached their congestion. This mostly affected commuters along Jogoo Road.